Feeling awkward at your engagement shoot is completely normal. You may have never posed as a couple in front of a professional photographer before. Here are a few tips to help loosen up! The first question you will probably ask is “what should we do?”. Forget what you think is expected from you. Be goofy, kiss, laugh, hold hands, walk. Feel free to do whatever feels natural to you as a couple. Your photographer will be there to help you, give you directions and tips along the way to help you with body positioning to make sure you look your best. 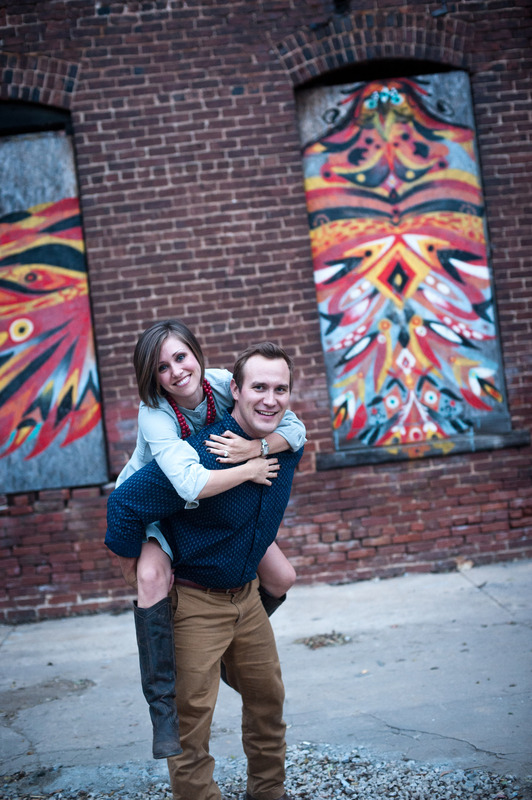 Engagement pictures are meant to be light and happy. So don’t take it too seriously and just have fun and be cute! A great way to do that is tell each other jokes or anecdotes. And if you’re out of jokes, don’t worry. Your photographer will be more than happy to take over! It might feel awkward at first to be affectionate in front of your photographer, but soon enough it’ll feel almost natural. And that’s how you end up with great photos. Tip: just remember why you’re taking engagement pictures in the first place. We’ll always have your back, so enjoy yourselves, have fun and know that you’ll end up with beautiful pictures! BONUS: An engagement photo shoot is a great way to prepare for your wedding pictures. You get to know your photographer, learn some tips on posing and let go of any awkwardness.